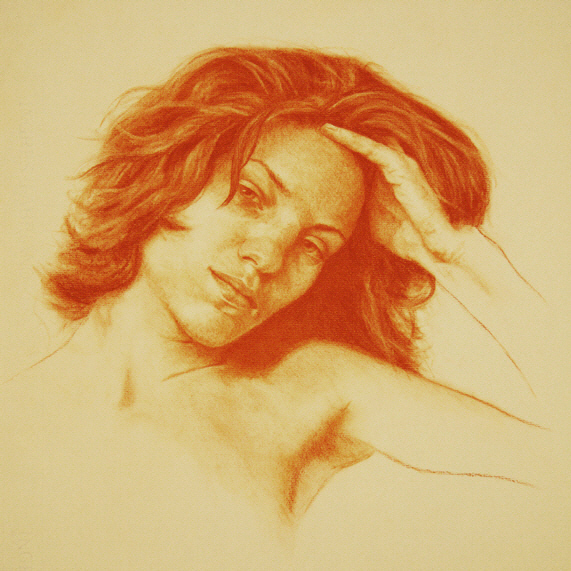 At Artacademy.com we offer realist college level drawing and painting programs for the serious artist seeking indepth, intelligent instruction. The first three months of a beginning portrait artist's training determines whether or not their acquisition of skills will be successful. It takes only a moment to develop a few bad habits and a long arduous journey to correct them. Acquiring a solid foundation for portrait drawing is not difficult. It is accessible to anyone willing to pursue it. The first issue a portrait artist must contend with is our collective language of symbolic preconceptions. For example, the beginning artist tends to draw an eye as a football shape inset with a large circle to symbolize the iris. Another common error is to begin a portrait by drawing a large circle and plopping the eyes in the middle. An artist's initial training is to become aware of these symbols and then to overcome them. To do this you need to relearn how to see; there is a big difference between seeing and looking. 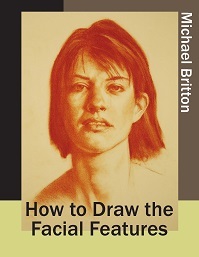 SUBSCRIBE TO THE DRAWING EZINE AND GET THIS FREE EBOOK ON HOW TO DRAW THE FACIAL FEATURES! Complete the form below to subscribe to the Drawing EZine and get free drawing and painting lessons. 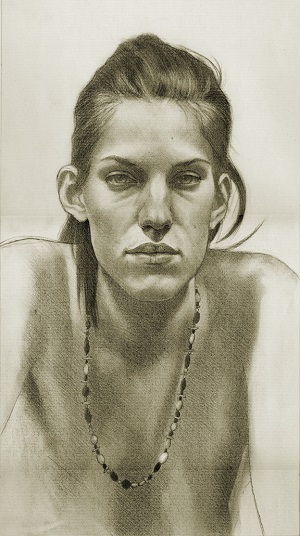 I give Artacademy.com permission to send me FREE drawing lessons, tutorials and special offers. Your first set of drawing lessons should train you to see and render shape accurately. The classical / traditional method of portrait drawing begins with inscribing a shape which is the outside contour of the head. This is working from the outside in. Self-taught artists invariably draw a portrait from the inside out usually beginning with a feature such as an eye. The common result of the latter approach is a discordant, disjointed drawing that lacks an overall unified presence. The all-important rule in drawing and painting is to work from the general to the specific. Once you become comfortable with accurately sketching the contour (the outside shape of the head) then you can either block in the large shapes of tone (or basic shading) or proceed directly to mapping in the features of the face. Be sure to sign up for my Drawing EZine where you will get lots of free portrait drawing lessons and get started immediately with my free e-book How to Draw the Facial Features. Of course you cannot learn how to draw faces and portraits by just reading about it. Take a look at my free tutorial on Drawing a Portrait of Verna. There are loads of tips in this lesson for both the beginner and more advanced artist. In this lesson the tried and true traditional approach of drawing the portrait is illustrated and explained step-by-step. Copyright © 1998-2015 Artacademy.com. All rights reserved.